Are we about to see U.S. stocks take a significant tumble? If you are looking for a “canary in the coal mine” for the U.S. stock market, just look at high yield bonds. In recent years, almost every single time junk bonds have declined substantially there has been a notable stock market correction as well. And right now high yield bonds are steadily moving lower. The biggest reason for this is falling oil prices. As I wrote about the other day, energy companies now account for about 20 percent of the high yield bond market. As the price of oil falls, investors are understandably becoming concerned about the future prospects of those companies and are dumping their bonds. What is happening cannot be described as a “crash” just yet, but there has been a pretty sizable decline for junk bonds over the past month. And as I noted above, junk bonds and stocks usually move in tandem. In fact, junk bonds usually start falling before stocks do. So does the decline in high yield bonds that we are witnessing at the moment indicate that we are on the verge of a significant stock market correction? The S&P 500 and the iShares iBoxx High Yield Corporate Bond ETF are a mirror image since the start of the year, but since the end of October, high yield has diverged to the lower right, and yet the S&P 500 has continued to record highs. Since separating in October, the S&P 500 is up 3 percent, while the high-yield ETF is down 4 percent. On 10 occasions since 2007, the high-yield ETF dropped 5 percent in 30 trading days. During nine of those instances, the S&P 500 fell as well, with an average return of negative 9 percent, according to CNBC analysis using Kensho. 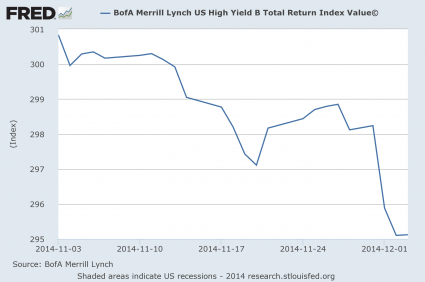 Only once did high yield give a false sell signal. That was last year, when the market was already entranced by the Federal Reserve’s quantitative easing program, which has seemed to elevate stocks with an abnormal consistency. And even then, the S&P 500 managed just a 0.4 percent climb amid the junk debt rout. Personally, I am convinced that this correlation between junk bonds and stocks is very significant. Let’s just go back and look at what happened during the financial crash of 2008 for a moment. That is why analysts often refer to junk bonds as a “leading indicator”. 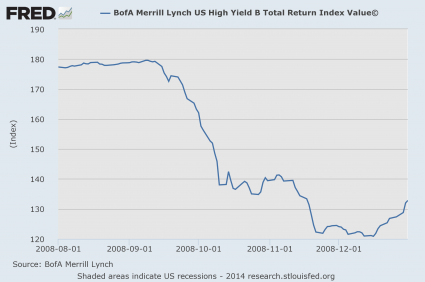 What happens to high yield debt is often a really good indicator of what is about to happen to stocks. Now let’s take a look at what is happening today. This is not a state of affairs that can persist indefinitely. Either junk bonds will rebound or U.S. stocks will start falling. 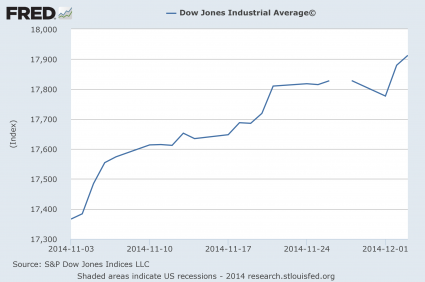 If the U.S. economy was on solid footing, you could perhaps argue that it could go either way. Unfortunately, that is not the case. 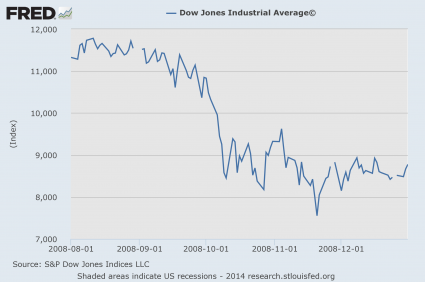 At this point, the stock market has become completely divorced from economic fundamentals. Price to earnings ratios are at absurd levels, margin debt is hovering near record highs, and the “real economy” continues to fall apart. We are enjoying a massively inflated standard of living which is being propped up by the largest mountain of debt in world history, and it is only a matter of time before reality starts catching up with us. Sears Holdings Corp., posted a disappointing third quarter Thursday that saw revenue, earnings, and sales at stores open at least a year all fall as the retailer tries to salvage its business. Sears, which owns Kmart, lost $548 million, or $5.15 a share, for the period ended Nov. 1. That’s up from a loss of $534 million, or $5.03 a share, in the year-ago period. Even though Sears is losing more than 500 million dollars a quarter, banks and investors continue to inject new money into the corporation. That is a crying shame, because Sears is a company that is going to zero. Anyone that is investing in Sears at this point is just pouring their money into a black hole. As Kevin O’Leary would say, they are guilty of murdering money. And of course what is happening to Sears is just part of the broader “retail apocalypse” that I keep writing about. In order for retailers to thrive they need healthy consumers, and consumers are not financially healthy because the real economy is a disaster zone.